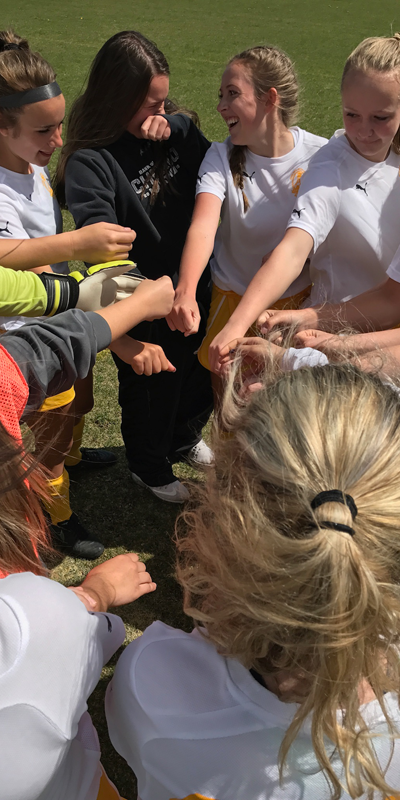 2000 U17 Arsenal Girls coached by Lance Melton with assistance from Lexi Steele and Rick Thompson, traveled to Billings for the Montana State Cup tournament last weekend. 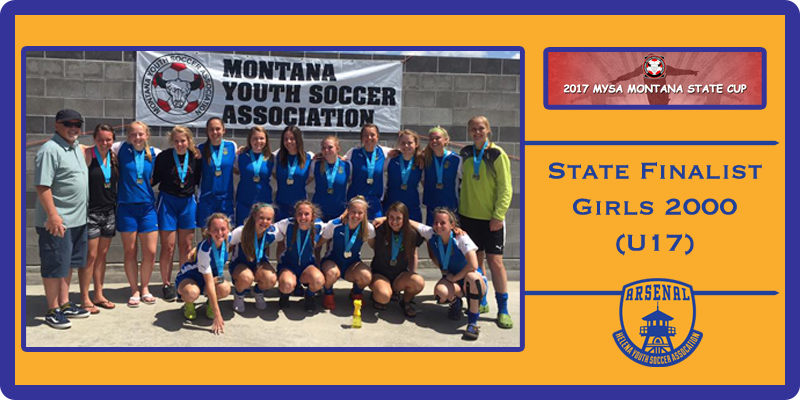 Due to its undefeated league season, the Montana Youth Soccer Association ranked the Arsenal U17G as the #1 seed in the U18 Gold bracket for pool play, and Arsenal received a buy to the U17 Gold championship game. In the first game of the tournament on Saturday, Arsenal took down the Magic City U18 team (which ended up winning the U18 gold championship) 2-0. Goals were scored by Ellie Stiffler and Cassie Brisko. Saturday’s second game saw the Arsenal up against the Missoula Strikers, who battled to a 1-1 draw with a goal from Brisko. In Sunday’s pool play, Arsenal played the Montana Rush U18 team for 69 minutes before the Rush hit the net off a corner with 20 seconds left in the match, resulting in a 1-0 loss. In Monday’s U17 gold championship game, Arsenal again faced off against the Missoula Strikers. The teams were very well matched and battled back and forth before Strikers hit the net in the second half. Arsenal shelled the Strikers repeatedly in the final ten minutes of the game but did not even the score. When the whistle blew, Strikers were up 1-0 and Arsenal took home the second place trophy. Arsenal’s offense was led by Kinzi Adams, Claire Benedetti, Brisko, and Stiffler. Midfielders Megan Havron, Megan Lindbo, Sarah Mueller, Tasha Peterson, Jaymee Sheridan, and Sydney Sheridan worked the field and created scoring opportunities. Defenders Audrey Arnold, Ty Cummings, Isabelle Melton, Kenzie Schulte, and Ellie Stock were steadfast and tough. Goal keeping duties were provided by Rachel Kosena who had numerous saves, including an amazing save on a PK in the Rush match. Arsenal U17G ended their undefeated in league play (7-0) with an overall season record of 10-2-2.